The more that you can approach your own shifting with loving kindness, the smoother your road of change will be. On some days it may still feel like a roller coaster ride, yet your self-love can help you to have the necessary steadiness within. Do we control our destiny? Can we alter our fate with thought alone? How do we create the life we want? A leading authority on past-life regression, Shelley transports clients into alternative worlds and helps people go within to create more empowered and prosperous lives. A former sales trainer and public relations specialist, Shelley began her career as a hypnotherapist nearly 8 years ago after the death of a close friend and a long illness brought her to the realization that she needed to be doing more meaningful work. Since then, Shelley has conducted thousands of hypnosis sessions for people all over the world. Her unique theories about the nature of the mind, body and subtle energy systems are the subjects of her books. She has shown that we store memories holographically in our energetic field and developed a unique way to address clientâ€™s needs through a combination of energetic and guided imagery. Her work was endorsed by famed regression therapist Dr. Brian Weiss and near-death pioneer, Dr. Raymond Moody. She is probably most known for her childhood love of the gem and mineral kingdom. Having been raised as the daughter of the manager of the Kingman, AZ, turquoise mines, Shelley explores the mineral kingdom in much of her work and shows people how to use these natural gifts as guides and metaphors for daily reality. 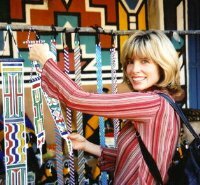 A world traveler, Shelley enjoys meeting with people from all walks of life all over the world and brings the message to people that all things are possible with faith and effort. 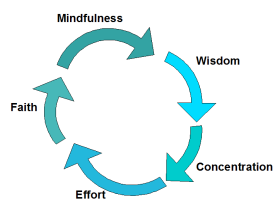 Lately her work is primarily focusing on assisting people in career transition an endeavor she has been extremely successful in by guiding people into their highest potential future via hypnosis, the same work praised by Weiss and others many years ago. Shelley holds a Ph.D. in Parapsychic Science from the American Institute of Holistic Theology where she graduated in 2001. Her other educational background includes degrees in English and Broadcasting, and for the past five years she hosted Beyond Reality Radio Program in Dallas, TX, interviewing leaders in the field of consciousness including Doreen Virtue, Gregg Braden, Carolyn Myss, Lee Carroll, and others. Shelley is a frequent guest on Coast to Coast AM with George Noory, X-Zone and Religion on the Line on WABC in New York, to name a few. Shelley lives in Dallas, TX, where she still maintains a private practice when she is not on the road promoting her books. Visit her online at www.shelleykaehr.com. Dr. Kaehr will discuss trends for the 21st Century. 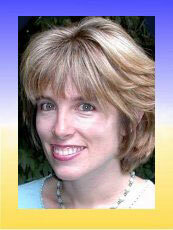 She will explain how spiritual shifts will effect our day to day reality over the next 50 years. Dr. Kaehr has a private practice specializing in Past Life Regression and Energy Work, Crystal Healing, Huna & Reiki classes. Dr. Shelley Kaehr is known throughout the world as a leading authority and media expert in the field of energy healing and mind-body medicine.To date, she is author of over forty five novels, books and short stories and is now a produced playwright with several theatrical productions currently underway in the Dallas area.An impassioned public speaker, Shelley is most known for her incredible expertise in the healing uses and lore of precious gemstones and minerals. She is also a world renowned hypnotist whose past life regression and future memory techniques have been widely endorsed in the field of consciousness by leaders such as Dr. Brian Weiss, MD, author of Many Lives, Many Masters, and Dr. Raymond Moody, pioneer of near death research. She is a frequent guest on national talk shows such as Coast to Coast AM with George Noory. Shelley began her spiritual journey as a child growing up in New Mexico where her father worked for some of the most famed mining operations in the world. In adulthood, after undergoing a near death experience and health crisis, she found her calling in assisting others in letting go of past traumas to lead brighter lives. As an intuitive counselor, Shelley offers one on one coaching to individuals and groups and has traveled the world helping thousands to live more meaningful lives. These days, when she is not teaching and doing sessions, Shelley spends much of her time writing her fictional novels and stage plays.